I recently installed a lovely Project 62 Mirror by the Front Door and it started me thinking about all the bright brass pieces around the Chalet. I bought this Project 62 tray last year and I couldn’t be happier I did. 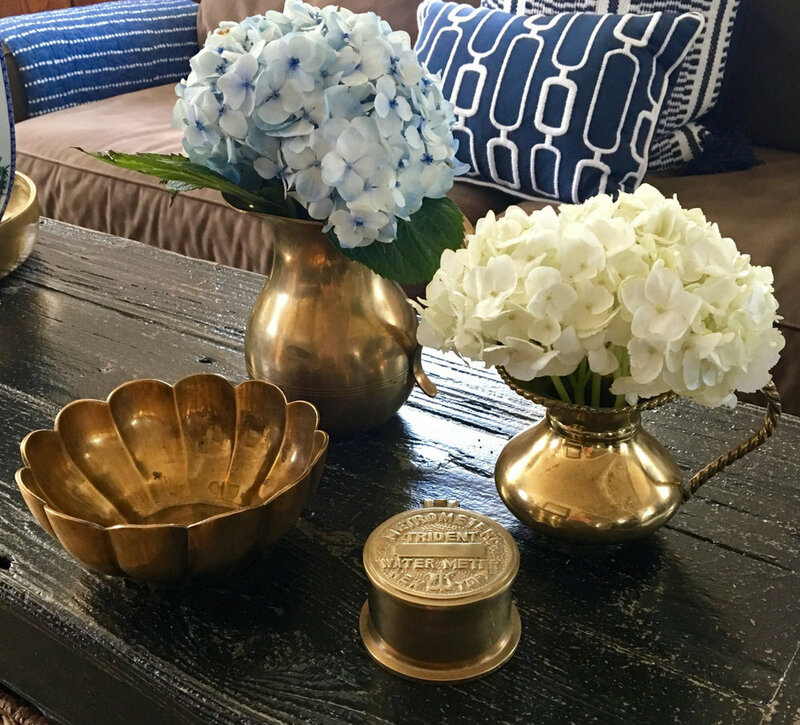 I absolutely love the brass accent legs on my new coffee table from Home Sense. Isn’t my Bunny sweet from Urban Redeux. These Crate and Barrel wood & marble coasters are awesome! Still loving every piece I’ve thrifted from Pepper Leigh Eclectic! This brass vessels help my flowers last a very long time. 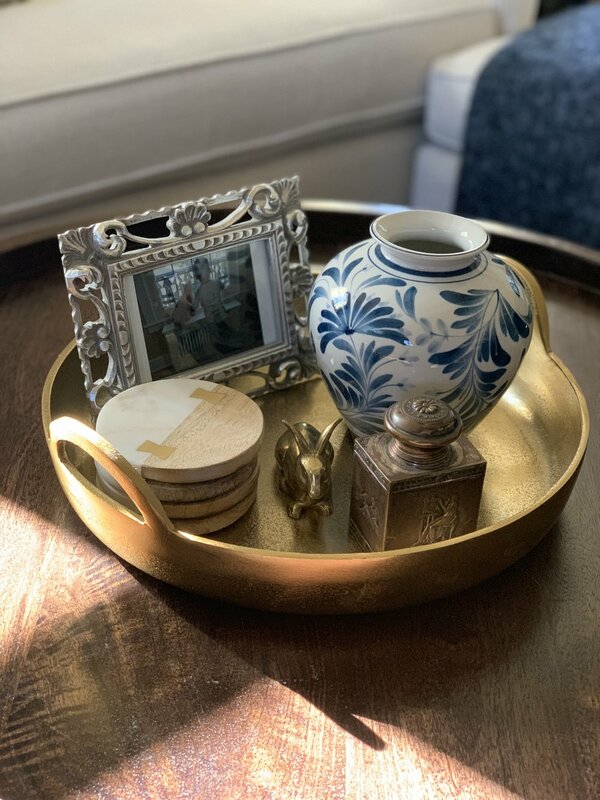 Here’s my recipe for long lasting blooms: Warm Water Metal container or a glass container with Pennies and I change the water every other day and I usually do not use flower fresh. 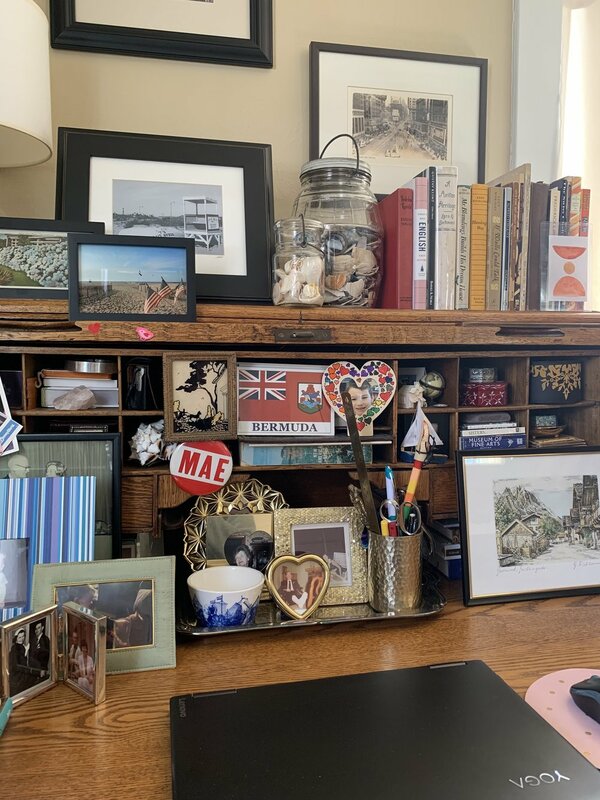 I’ve incorporated some bright bits on my desk…the framed photographs and the pen holder. How fun is this clipper ship - and my Lion - both are treasures from Pepper Leigh Eclectic. Honorable mention to the amazing bell that was part of a collection from my uncle - he lovingly gave to my son! I’ve incorporated some gold accents in the corner gallery wall in the Livingroom too! I’ve gone green and gold on the mantel! I love this thrifted watercolor of the Sacré-Cœur Basilica . One of favorite pieces is this glittery K my sister gifted me a few Christmases ago! I love it! Some keys pieces on the Porch are from Target: the Floor Lamp and Round Table. This gold and brass trend started a few seasons ago but, I don’t see it slowing down anytime soon. Here are some current items you can add to your abode! i receive lots of questions relating to the many rugs we have in chalet. how did i choose my rugs? let's start with # 1. i definitely know what i like! and from the cacophony of styles in the chalet you know i am a fan of many design aesthetics, but, i've never purhased a rug on a whim - all were sought specific spaces and designs in mind. a few have moved around the chalet and they work or i make them work - because i refuse to think it won't work but, maybe i'm nuts... ha! i love the pattern of this round cotton rug from Home Decorators Collection. i think it's perfect in our little entryway. these wool rugs are Pottery Barn purchased 10 years ago on sale. 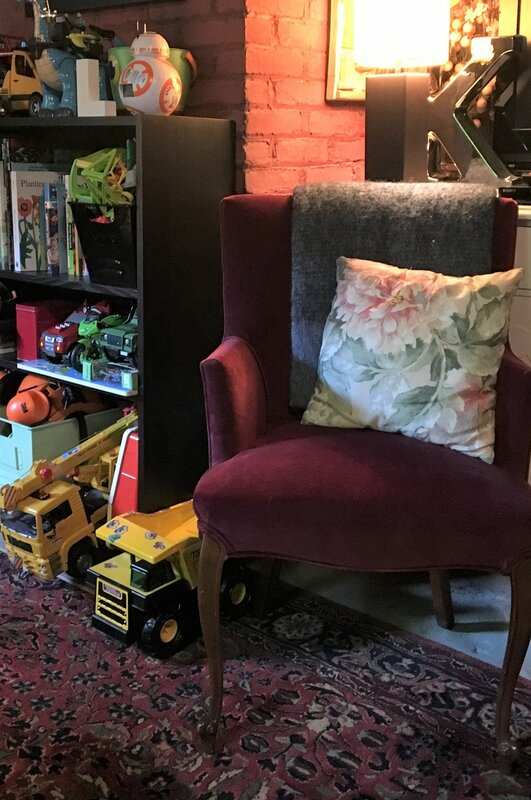 we have three rugs that make up the Livingroom and Den area - two 8 x 5's, and one 10 x 8.
in this image you can see the Den seating area - at the time i wanted one large rug and we couldn't afford it, so building the room this way made sense. to the eye the pattern continues so the multiple rugs don't jump out at you. i tell friends all the time you can make anything work if you love it. #2. well, i would never say i set out to mismatch - to my eye it all goes together. the designs and color-stories may vary a bit but, since the floor plan is open and the majority of the furnishings are balanced with black - it all works. the wool Moroccan Tribal rug - which was gifted to us by my husband's father is a favorite. i love the colors and the uniqueness of the pattern. we were so lucky with the size. nothing is worse than a too small rug especially under a dining area. #3. i look for color, pattern and natural materials. 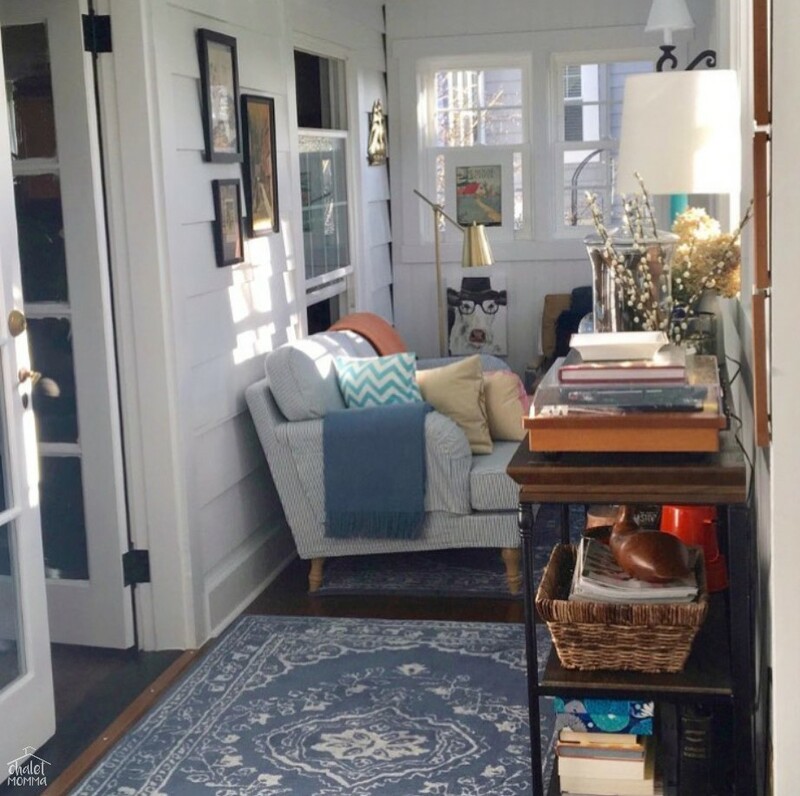 sometimes the decisions is color driven - i originally was going for navy but, when i stumbled across this rug on Wayfair i fell in love with the subtle pale grey pattern. here we again have three of the same patterned rugs spread over one space. upstairs in the hall we have three rugs - this time of different designs encircling the center chimney. the first heading toward Liam's bedroom is from The Home Depot it's beige with a taupe and light blue pattern. this black runner was the first rug that i installed upstairs. i wanted to not only warm up the space but, i needed to deaden some of the sound as well. a few years ago we realized our son wanted to hang out in the hall and play on the floor - especially if my husband was in his office. i got out my computer and found this 4x4 number from Home Decorators Collection. the master bedroom rug is the Henley from Pottery Barn - a two tone beige hand tufted wool. although, not my usual M.O. i decided to forgo a pattern on the floor in this space. it felt right to let the draperies and art take center stage in the rooms design. i love the squares in my son's Home Depot nylon carpeting. we lucked out - it's almost wall to wall. in my piece Liam's Lair I shared the original design - it started with a square motif bedding pattern chosen while i was pregnant. for his recent room redo i picked up this shaggy polyester navy number at Target. he loves to pretend it's an ocean and it helps pull a bit more blue around the room. there are a few designs currently in our basement. 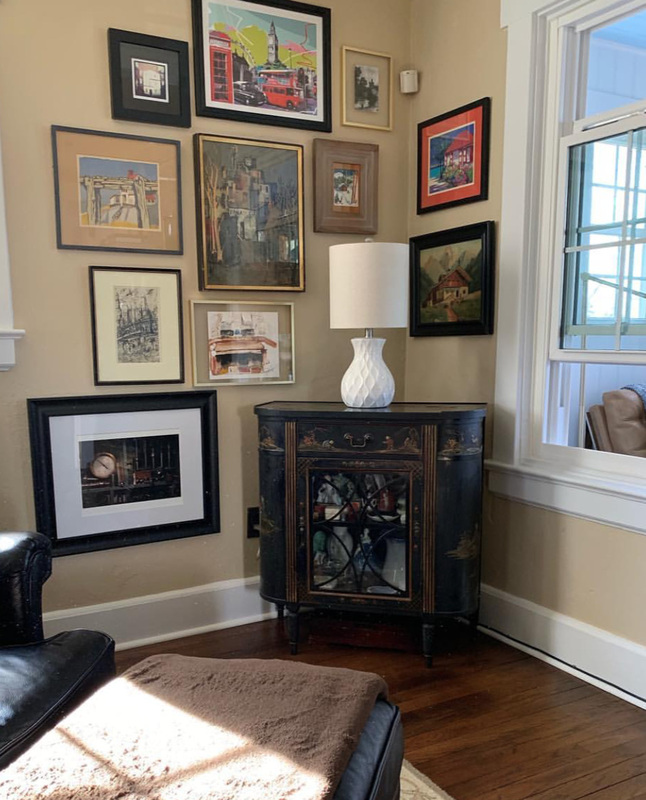 you'll notice there is a larger matching blue wool oriental in my husbands office - they are the most fetching vintage Drexel Heritage rugs from the 1970's that my Mother in Law gifted us. they were originally in the Livingroom at our old house and here too. the maroon is a Home Goods find. it is wool and is hands down the softest rug in the chalet. it was originally in our master bedroom. i am very pleased my son and his friends have a soft rug to play on. i did try and use it upstairs in the hall but, unfortunately it was too large. so there you have it - a study of the chalet floor coverings. i have a type of pattern my eye is drawn to but, there is a bit of diversity as well. i tend to like natural fibers for feel and color. are your rugs and carpets different in different areas of your home? or do you gravitate toward the same designs? like my quote? feel free to use it -HA! i am someone who can never do one of anything... not a single scoop of ice cream, not one glass of prosecco or only one piece of art #saynotoemptywalls i collect books to read, to admire, to live with. Liam is enrolled in a weekly gardening club at our library. so of course i bring home books... on top of the books i have in the TOBEREAD basket under my roll-top desk and the books i am currently listening to through the Hoopla app. if you're new around the chalet you may not have heard of my Hoopla love! as my time gets eaten up with chaletmomma-ing, work, volunteering etc... it's lovely to listen to a book while i do my merry-maid impression or take a walk (the weather warmed up - i started walking again - break out the confetti! ha). Heirloom Modern by Hollister Hovey was a must get after Gwen Heffner the makerista storied about her copy on IG. it's filled with amazing images and much beloved objects. this book is right up my alley. i stumbled across this amazing life history of Charles Dicken's - one of my favorite authors in the clearance section (tear on the cover) of my Home Sense store. it has fold out sleeves that contain replicas of documents from his life! i mean it doesn't get any better than this! i read Truman Capote works : A Christmas Memory and The Thanksgiving Visitor last year and i'm so pleased to add this to my permanent collection! here's what i've been reading - I enjoyed each! the only thing i am not a fan of is scary - no Stephen King for this momma. although - i do own Caleb Carr but, the titles i love are based in Manhattan during the turn of the last century - i am a huge fan of historical fiction - now i have to mention two more books from my collection - that feel similar - The Waterworks by E.L. Doctorow and Time and Again by Jack Finney. 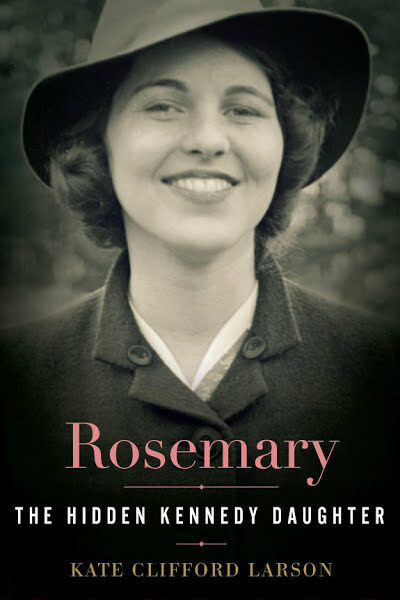 Rosemary the Hidden Kennedy Daughter. The Curious Charms of Arthur Pepper - a sweet tale of discovery. Secrets of a Charmed Life - makes you think about history on a personal level. A Man Called Ove - he pulls you in just as he is pulled in by those around him. Commonwealth - stirs caring for these souls in a profound way. whats the best title you've come across lately? you can check out my past post thankful for the written word to see more of my books!